Thinking about visiting Japan? There’s no place that will shatter your pre-conceived notions of this fascinating country more than the rugged & beautiful island of Hokkaido. The most northernly of Japan’s four main islands, Hokkaido is, in many ways, the antithesis to the rest of the country. With the exception of Sapporo, the big city life that Japan is so famous for is noticeably absent on Hokkaido. In fact, much of the island feels like little more than a collection of relatively small towns connected by pristine open spaces. Venture this far into the fringes of Japan and a whole new world unfolds where soaking in natural hot springs, dancing in fields of lavender and hiking through otherworldly volcanic landscapes as the earth puffs sulfur into the air is just another day in the life. The verdict: When is the best time to visit Hokkaido? Why visit Hokkaido in July? Why visit Hokkaido in October? Why visit Hokkaido in February? In general, Hokkaido is quite a bit cooler than the rest of Japan. Cold snowy winters and more temperate summers dominate here. Spring and fall are somewhere in between with relatively cool to mild temperatures as each season moves onward. Truthfully, there’s good reason to visit Hokkaido in any season depending on what you want to do. If you’re prepared to bundle up, winter is a great time to visit Hokkaido to enjoy sports like skiing & snowboarding or events like the Sapporo Ice Festival. Summer, on the other hand, is perfect for hikers who’ll discover unbridled paths in the far reaches of the island while simpler pleasures like scoping out cherry blossoms or getting mesmerized by the fall colours give credence to visiting in the spring or autumn. 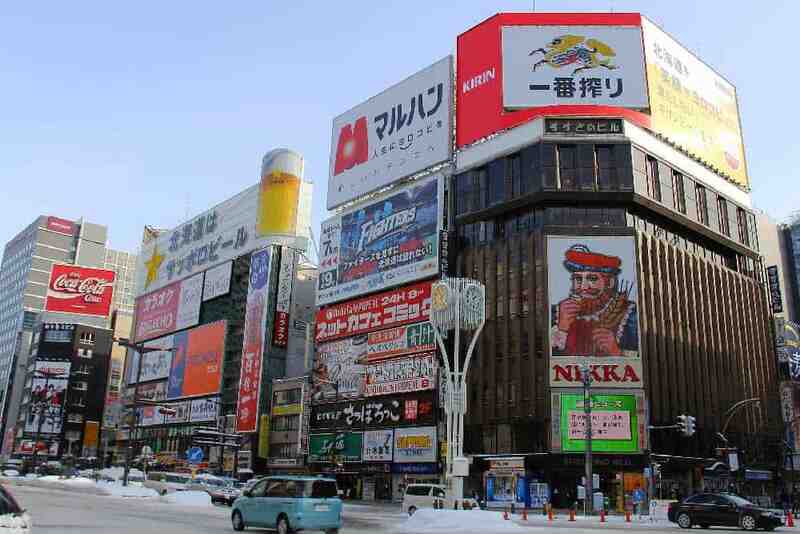 Ready to travel to Hokkaido? Don’t forget to protect yourself with travel insurance! What to expect in spring in Hokkaido: Spring is a wonderful time to visit Hokkaido. With the long cold winter slipping away, warmer temperatures breathe new life into the island. Visiting Hokkaido in spring sees cherry blossoms (sakura) hit their peak, happening a little later here than in the rest of Japan. To check out cherry blossoms in Hokkaido, time your visit to late April or early May. What to wear in Hokkaido in spring: There’s still a bit of a chill in the air in early spring. If you’re visiting in March, dress in layers and bring along a warm hardshell jacket with a toque and gloves to stay warm. From late April on, you can be a little more liberal with your clothing and outerwear choices as Hokkaido starts to quickly warm up. Gearing up for late spring hiking in Hokkaido? Check out these guides to the most recommended men’s hiking shoes and most recommended women’s hiking shoes! What to expect in summer in Hokkaido: Coming into summer, there’s still a smattering of cooler rainy days in Hokkaido left over from spring. It doesn’t take long for them to give way to warmer sunnier times. Popular among Japanese holidaymakers, summer in Hokkaido offers a brilliant respite from the intense heat and humidity of Honshu, Kyushu or Shikoku. Although the cherry blossoms are long gone, foliage replenishes the barren trees to create some beautiful scenery throughout the island. Flowers start to bloom in Hokkaido in early summer, hitting their peak in August. What to wear in Hokkaido in summer: With average temperatures finally in the teens, most days will bring opportunities to carry on with minimal layering. Be sure to keep a lightweight rain jacket and travel umbrella handy for the inevitable rain. Temperatures at night can still drop in summer. It’s a good idea to pack a warm hoody or fleece jacket in your best daypack. What to expect in autumn in Hokkaido: With intense colours bursting throughout the island, fall is one of best times to visit Hokkaido. Temperatures are still pleasant throughout September and October with the truly chilly days not hitting until late autumn in November. The cavalcade of colours in October can bring with it loads of visitors to Hokkaido from Japan and from abroad. Be sure to book ahead to avoid disappointment. What to wear in Hokkaido in autumn: Throughout most of the fall, the mild temperatures will mean that dressing in layers with a good jacket should be fine. November sees slightly cooler temperatures in the single digits and will require something a tad heavier to stay comfortable. Although fall is generally dry by Japanese standards, southern Hokkaido sees some remnants of typhoon season in September. Bring along a sturdy rain jacket for these times (actually, it’s a good idea all year round in Japan). Gearing up for autumn in Hokkaido? Check out our top picks for the top-rated waterproof jackets for men and the top-rated waterproof jackets for women! What to expect in winter in Hokkaido: With the island’s northernly location, winter in Hokkaido is, as you’d expect, cold & chilly. Despite what you’ll hear though, it’s probably not as unbearable as its made out to be. In fact, winter is among the best times of the year to visit Hokkaido with its world-class ski resorts and stunning winter scenery. Just don’t plan on getting much off the beaten path as many of the island’s more remote locations like Shiretoko National Park become inaccessible to visitors. What to wear in Hokkaido in winter: The sub-zero temperatures throughout Hokkaido in winter mean that you’ll need to bundle up to stay comfortable. Even if you’re not planning to spend time at one of the best ski resorts in Hokkaido, wear a hardshell jacket with a warm mid-layer to stay toasty. A warm winter hat (toque), gloves and a pair of winter boots is also a good idea. Overview of weather in Hokkaido in January: The first complete winter month in Hokkaido, January is a chilly time to be travelling around the island. By now, average temperatures are firmly in the minuses with snowfall hitting its peak during the month. The increased snowfall makes it more difficult and less safe to travel by road. January’s a good month to get use out of your Japan Rail Pass or JR Hokkaido Pass to avoid delays. Where to go in Hokkaido in January: If you’re into winter sports, January’s a fantastic month to travel to Hokkaido. By January, Hokkaido’s top ski resorts including Niseko, Sahoro, and Rusutsu really hit their stride. City Avg. High Avg. Low Avg. Temp Avg. Precip. Overview of weather in Hokkaido in February: There’s little difference in the weather in Hokkaido between January and February. Like the previous month, February is marked by heavy snowfall and cold temperatures. February can, however, be a relatively pleasant month to travel with plenty of sunny days and clear skies to be had. Where to go in Hokkaido in February: Hokkaido’s top ski resorts see their peak during the sunny days of February. Since this is an insanely popular time of year in Hokkaido, you’ll need to book ahead by several months if you’re planning to hit up the top winter resort towns. February’s also a fantastic time to take in Hokkaido’s best hot springs (onsen) towns such as Noboribetsu or Jozankei and to enjoy the famous Sapporo Snow & Ice Festival. Overview of weather in Hokkaido in March: The transition between winter in Hokkaido and spring, March can be a bit of a mixed bag for weather. Remnants of winter remain with snow and sub-zero temperatures still on the docket. Things improve though, especially towards the end of the month when temperatures ascend into the teens and mild sunny days emerge. Where to go in Hokkaido in March: Skiing in Hokkaido is still kickin’ in the cool beginning days of March. 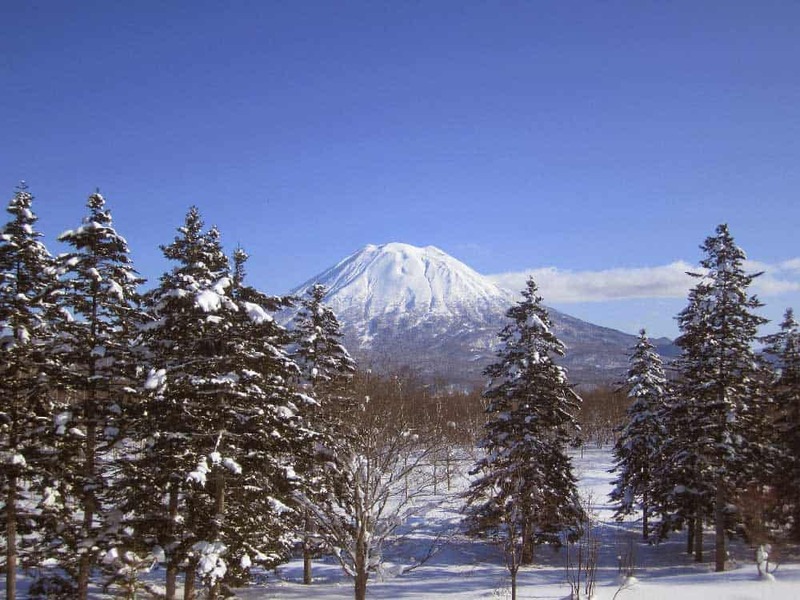 Ski resorts like Niseko or Rusutsu are quieter than February although ski conditions can be hit or miss as the warmer wet days of spring approach. With spring yet to fully kick into gear, March in Hokkaido doesn’t showcase the island’s best face. Trees have yet to sprout their plumes so the scenery can feel a tad underwhelming compared to late spring, summer or fall. Overview of weather in Hokkaido in April: The first true signs of spring in Hokkaido come in April as temperatures climb, quickly melting the winter’s worth of snow. Days get continually warmer throughout the month while nights still remain somewhat chilly. By month’s end, spring flowers start to make their first appearance in Hokkaido. The cherry blossoms that are in full swing elsewhere in Japan don’t even start winking in Hokkaido until near the end of April, if not the beginning of May. Where to go in Hokkaido in April: With the ski resorts shut down for another year, April is a good time to batten down in the cities of Hokkaido. Spending some time hunting down Hokkaido’s numerous ramen varieties in Sapporo and Asahikawa makes for a great side-trip. The slow winter-to-spring transition leaves many of Hokkaido’s mountain activities off-limits. Overview of weather in Hokkaido in May: Spring in Hokkaido is finally in swing coming into the swaying days of May. Temperatures pick up slack as averages inch into the teens throughout most of Hokkaido. The weather in May, however, is hit-or-miss with warm sunny days getting interspersed with cold rainy ones. Japanese spring flowers really start to show their colours in Hokkaido in May even if still in its infancy compared to the warmer days of summer. By the end of the month, trees become fully engulfed in foliage throughout the island returning much needed colour to the island’s scenery. And lets not forget the cherry blossoms that start sprouting, moving south to north as the month ticks on. 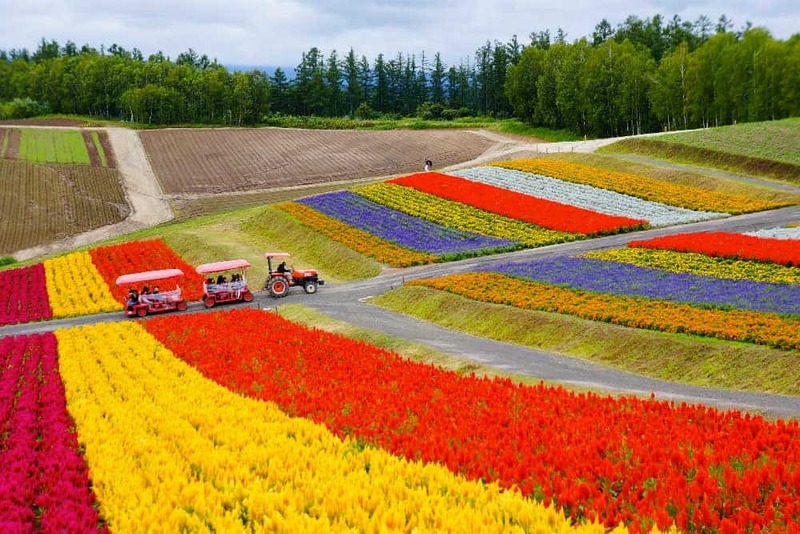 Where to go in Hokkaido in May: The mixed bag of spring weather makes southern Hokkaido the best place to visit in Hokkaido in May. Cities like Sapporo and Otaru are wonderful to visit at this time as they continue to wake from their winter/early-spring slumber. The cherry blossoms at Goryokaku Park in Hakodate and Hokkaido Shrine in Sapporo, both peaking in May, are simply stunning. Overview of weather in Hokkaido in June: As the summer rolls in, the full spring bloom is finally in effect into the warmer days of June. This is one of best months to visit Hokkaido as the average temperatures are usually in high teens and rainfall tails off towards the end of the month. Even into June, evenings can still get chilly with northerly winds swooshing in to drop the mercury. Where to go in Hokkaido in June: The warmer temperatures and drier conditions make travelling throughout much of Hokkaido in June quite pleasant. By June, off-beat spots like Shiretoko National Park start to open up after a long off-season. 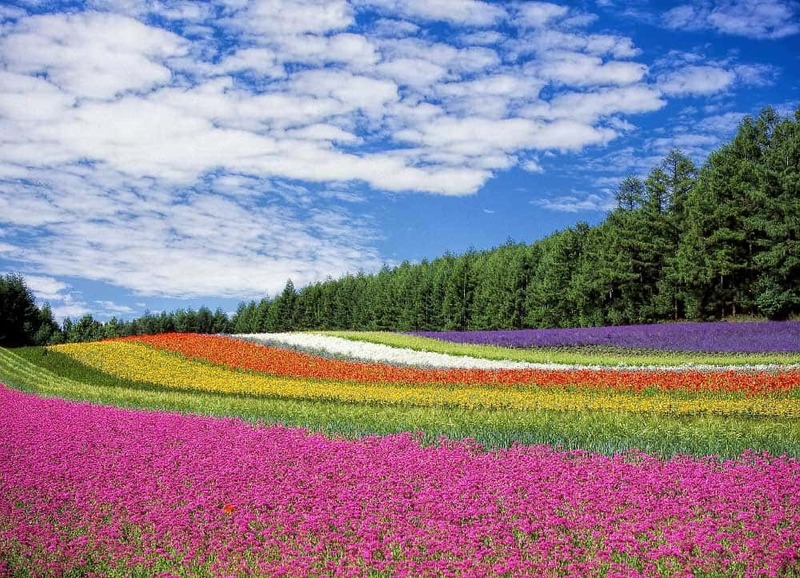 The flower blooms in places like Furano and Biei are starting but don’t quite hit their peak until July. Overview of weather in Hokkaido in July: Better arriving late than never, July in Hokkaido brings with it consistently warm and pleasant days. Average temperatures inch into the twenties throughout the popular central parts of the island. Even nighttime temperature stick in the teens. Towards the end of the month rainfall starts to ramp up with the increased humidity although it’s nothing compared to what you’ll find in southern Japan at this time of year. 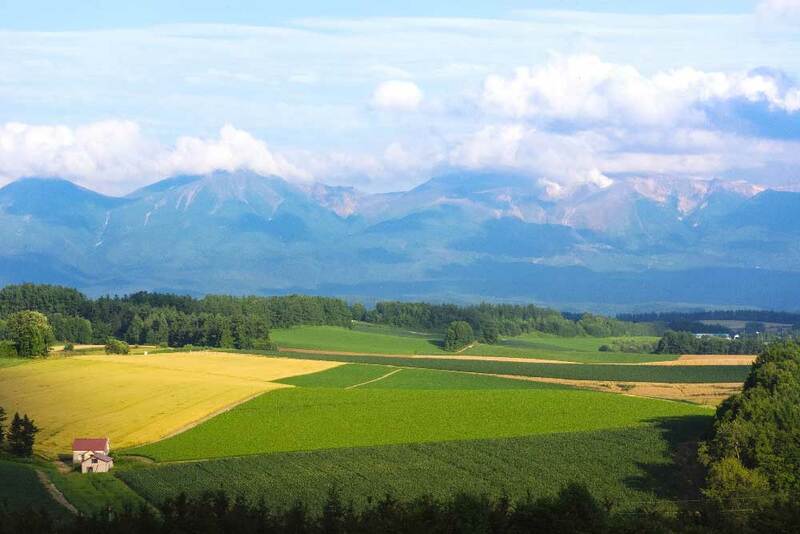 Where to go in Hokkaido in July: Most of Hokkaido is near its best weather-wise in July, especially in the first part of the month, and just about anywhere you visit will be enjoyable. One of the best activities to take on in Hokkaido in July is to check out the lavender fields of Furano and Biei at their peak colour. Hiking in Hokkaido is also superb in July; expect to share the privilege with locals and tourists. Overview of weather in Hokkaido in August: The true summer weather in Hokkaido hits its apex in the dog days of August. As expected in a Japanese summer, conditions are hot and humid—although far more pleasant than on Honshu, Shikoku, or Kyushu—with plenty of rain to boot. Average daytime temperatures swell into the twenties while nighttime averages feel far more mild. Where to go in Hokkaido in August: The summer crowds peak in August as tourists rush to Hokkaido to escape the sticky discomfort of southern Japan. Like July, central Hokkaido is at its most brilliant in August with flower gardens like Shikisai-no-Oka in Biei showing off their wonderful colours. August is also one of the best times of year to visit Shiretoko National Park in the remote northeast of the island. Overview of weather in Hokkaido in September: The short summer slowly starts to come to a close as September rolls into Hokkaido. In the northern part of the island, the trees already start to transition from their greens to their vivid fall colours. Southern Hokkaido still sees a torrent of rainfall at the beginning of September thanks to the typhoons that hover over the three other main Japanese islands. Although daytime highs are still warm and pleasant, there’s a marked drop-off in the temperatures from dusk until dawn. Where to go in Hokkaido in September: As the cooler autumn temperatures sail in, there’s no better place to enjoy Hokkaido to its fullest than at a hot springs resort. 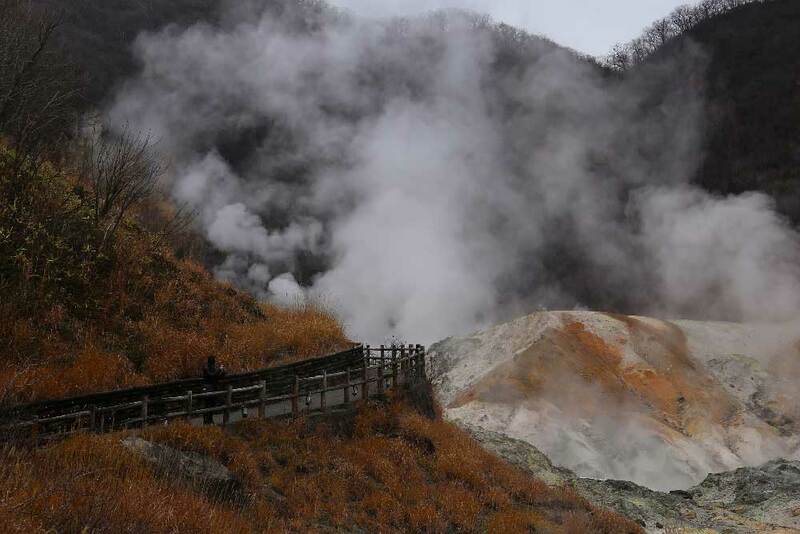 Try out Daisetsuzan National Park or Noboribetsu to get the full Japanse onsen experience. Overview of weather in Hokkaido in October: Whether in appearance or feel, it’s obvious that October marks the true peak of autumn in Hokkaido. Throughout the island, the trees flash their fall colours, painting Hokkaido’s best scenery in their explosive red, yellow, and orange hues. Temperatures are still relatively mild, especially in the beginning of the month, with average temperatures sitting in the teens. Nights cool down quite a bit, although hardly as chilly as the lows of November or the winter months ahead. Where to go in Hokkaido in October: The peak in fall scenery with decent weather means that most of Hokkaido is at your fingertips in October. It’s a great time to visit both cities and to enjoy the great outdoors whether its hiking in Noboribetsu or zipping up Mt. Moiwa in Sapporo. Just remember that October is one of the busy tourist months in Hokkaido; be sure to book ahead. Overview of weather in Hokkaido in November: As we trek into November, the autumn is already slowly slipping away. By now, the fall leaves have already hit their peak colours and are slowly falling away form the trees. Average temperatures and highs throughout the island begin to dip into the single digits. Northern Hokkaido and the highlands will start to see trickles of snowfall towards the middle and the end of the month. Where to go in Hokkaido in November: The cooler temperatures outside make outdoor activities in Hokkaido slightly less appeal in November than October. 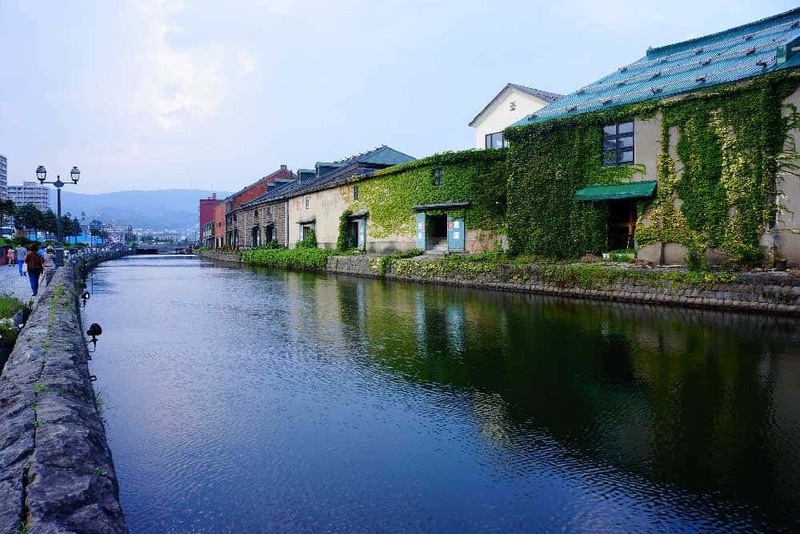 For something a little different, spend time in Hakodate sampling fresh sushi or in Otaru tasting sake. Both of these Japanese delicacies find their peak in November. If you’re caught dreaming of Europe in Japan, the Sapporo Munich Christmas Market, starting at the end of November, should put you into an early festive spirit. Overview of weather in Hokkaido in December: The winter runs full steam ahead in Hokkaido in December. The average temperatures throughout Hokkaido continue to slip, already dropping into the sub-zero range. Both days and nights are chilly, so bundle up! By the middle and the end of the month, snowfall will start to pick up, blanketing the entire island. As long as the colder weather doesn’t scare you off, the scenery can look quite magical. Where to go in Hokkaido in December: One of the best ways to deal with the cold temperatures of winter in Hokkaido is to embrace them! 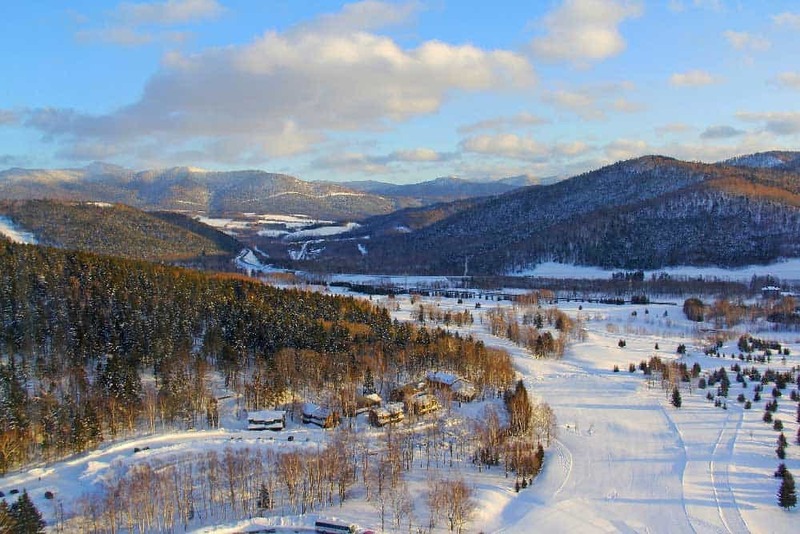 Warm up in the hot springs of Noboribetsu or be one of the first people on the pistes at one of Hokkaido’s top ski resorts (although for the best conditions, you might want to wait until January). The best month to visit Hokkaido is July, October or February. Okay, so I’m slowly realizing that I may not be able to offer a definitive answer on when the best time to visit Hokkaido is. But here’s a good start: July. 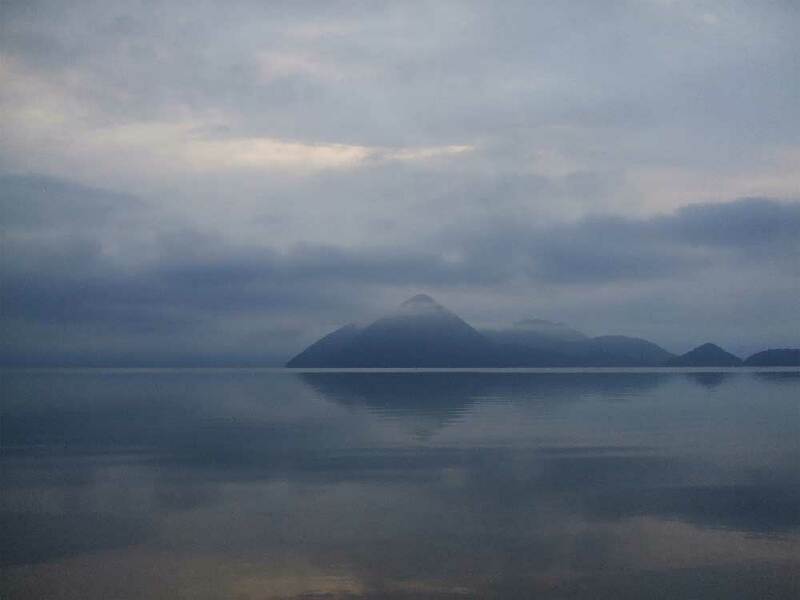 Hokkaido’s weather lags behind the rest of Japan thanks to its far north location. Nowhere does this serve the island better than in July. While cities like Kyoto and Tokyo are already seeing their worst summer weather brewing, Hokkaido is just getting a first peek at its warmest days. And the warm and relatively dry weather in Hokkaido isn’t the only reason. Visiting Hokkaido in July will unfold one of Japan’s most unique scenes. Near the towns of Furano and Biei, you’ll get to experience the height of the lavender bloom, painting the beautiful Hokkaidan countryside awash with indigo and violet. Of course, with all its beauty, July is one of the busier times to visit Hokkaido; you’ll need to plan your accommodations well ahead to avoid disappointment. Like July, visiting Hokkaido in October is all about the scenery. The autumn season starts early in Hokkaido with the gorgeous fall colours hitting their full stride in the mild days of October, slotting this autumn month in among the best to visit Hokkaido. October is one of the best times of the year to enjoy the outdoors in Hokkaido, with days that are neither uncomfortably hot, cold nor wet. The only caveat is that, like July, October is extremely popular. Getting your top choice of rooms around the island can be difficult without some timely pre-planning. For anyone who isn’t scared of a little chilliness, February is among the best times to go Hokkaido. The winter sports season is at its peak in February with the top ski resorts in Hokkaido such as Niseko and Rusutsu competing for your attention (and your adrenaline). February in Hokkaido isn’t just about skiing either. The island’s hot spring towns (onsen) are lovely at this this time of year with Noboribetsu and Jozankei among the top picks. Other popular events like the Otaru Snow Light Path Festival and Sapporo Snow & Ice Festival give February an even bigger boost as the best time to visit Hokkaido.